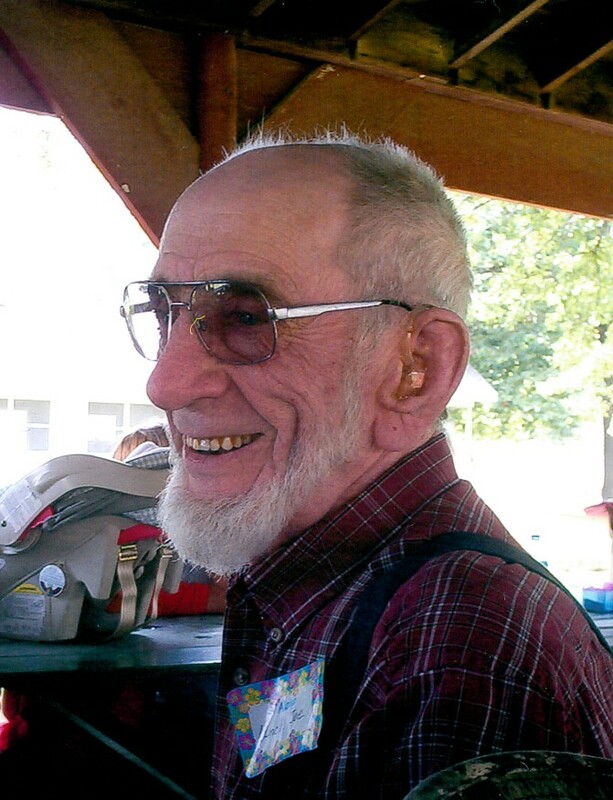 Joe Lee Palmer, age 82, of El Dorado Springs, Missouri, passed away on Tuesday, November 24, 2015, at his home. He was born September 4, 1933 in Maple Grove, Missouri, the son of Clair Palmer and Velma (Baker) Palmer. Joe served in the Army during the Korean Conflict from November 1953—September 1955. He then married Thelma Marie Scott on September 23, 1955. They moved to El Dorado Springs in 1978, where Joe drove a bus for the school district for twenty-three years. Joe was an honest, loving, generous, and caring man. He kept a five-gallon gas can handy, just in case someone ran out of gas near the house. He loved spending his time outdoors, camping and bird watching. He especially enjoyed his time fishing and leaves behind his fishing poles and boat. He also enjoyed bowling, skating, and anything sweet. Joe also loved his family. He was always teaching his kids and grandkids about the past. He loved his parents, but he loved and respected Thelma the most. He was also a faithful supporter of the Lion’s Club. Preceding Joe in death were his parents, one sister, and two brothers. Survivors include: Thelma, his wife of sixty years, of the home; children: Bobby and Teri Hamilton, of El Dorado Springs, and Mark and Carla Palmer of Golden City, MO; three grandchildren; and nine great-grandchildren. Funeral services for Joe Palmer were held on Tuesday, December 1, 2015, at 2:00 p.m. at Bland-Hackleman Chapel with Rev. Jack Daniel officiating. Arrangements were under the direction of Bland-Hackleman Funeral Home. Final disposition was inurnment.